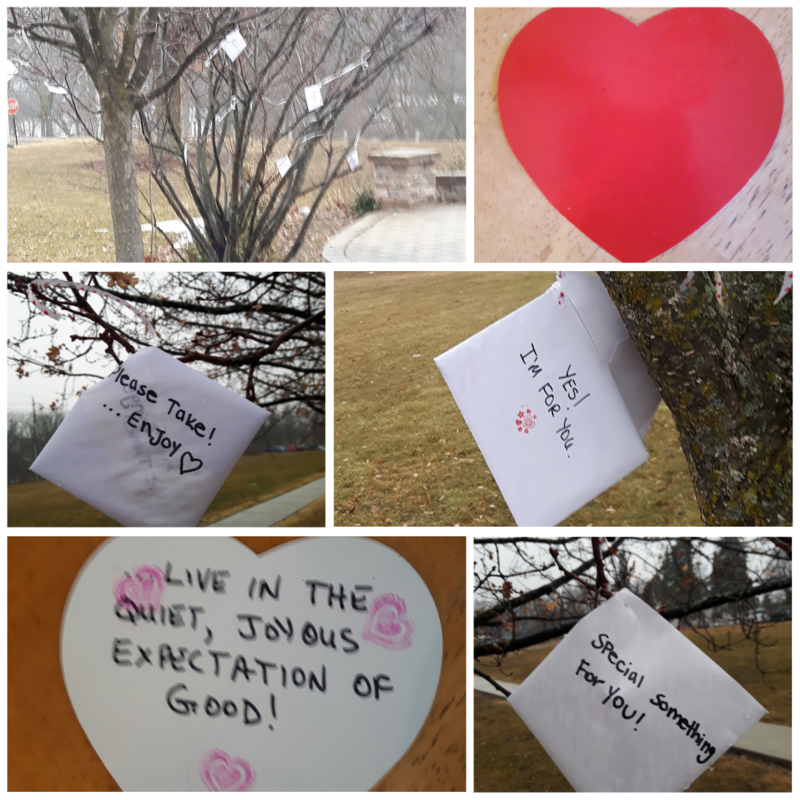 Last fall, an anonymous stranger left inspirational heart shaped messages on a tree in the SMH courtyard filled with loving and encouraging messages. We shared this random act of kindness on social media reaching almost 10k people, but we never did find the kind and thoughtful person who wrote them. Yesterday, March 20 many more hearts showed up again!! THANK YOU! Please share widely to help us spread the joy and happiness that this person wanted to show others who may need it. And if you’re passing by, please feel free to visit the tree in the front courtyard on the path or take a message if you could use the encouragement. We’re grateful to live in such a wonderful community, with truly special people.